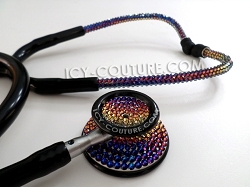 Swarovski Crystal Stethoscopes - Classy Medical Gifts by ICY Couture. 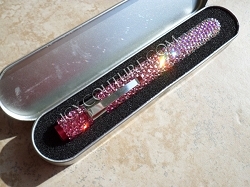 SELECT YOUR BRAND AND DESIRED CRYSTAL COLOR. 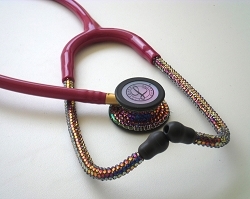 SINCE ALL OUR GIFTS ARE CUSTOM MADE, PLEASE ALLOW SOME TIME FOR PRODUCTION. 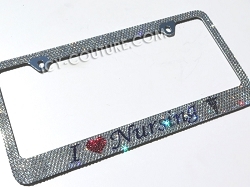 IF YOU NEED YOUR GIFT BY A CERTAIN DATE, LET US KNOW IN YOUR ORDER NOTES. IN BUSY HOLIDAYS TIMES, ADD RUSH SERVICE TO YOUR CART FOR FASTER SERVICE. 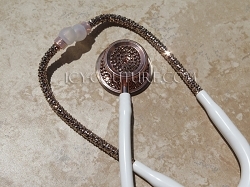 24K ROSE GOLD White Stethoscope with Swarovski Crystals. Whats Your Color? 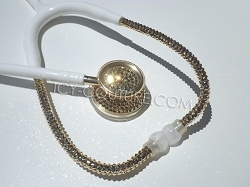 White Stethoscope with 24K GOLD Swarovski Crystals. Whats Your Color? 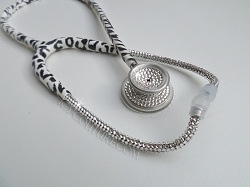 White Stethoscope Diamond Clear Swarovski Crystals. Select Your Color. 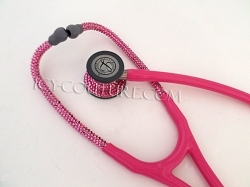 Littmann Master Cardiology Stethoscope Pink Ombre Swarovski Crystals. 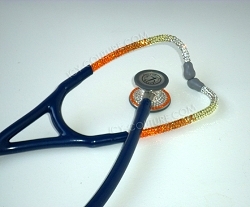 Your School Colors Stethoscope with Swarovski Crystals. Whats Your Brand? 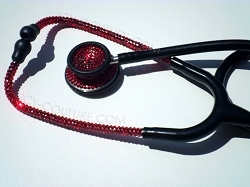 Black Red Edition Stethoscope with Swarovski Crystals. Whats Your Brand? 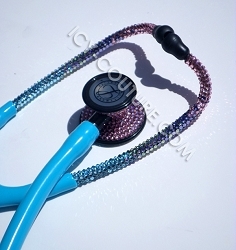 Partial Bling Stethoscope with Swarovski Crystals. 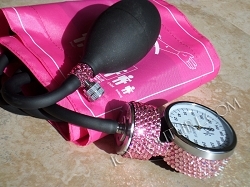 Whats your Brand? 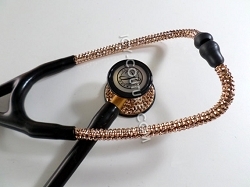 Littmann Master Cardiology Stethoscope 24K Rose Gold Swarovski Crystals. Select Your Color. 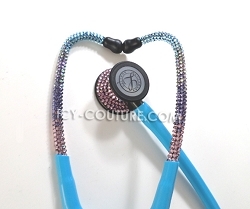 ICY Couture Stethoscope Blue Ombre Swarovski Crystals. Select Your Brand. 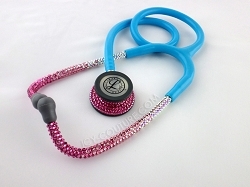 Blue Tube Stethoscope Pink Ombre Swarovski Crystals. Select Your Brand. 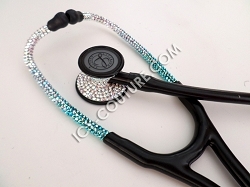 Blue Tube Stethoscope with Diamond Clear Swarovski Crystals. Select Your Brand. 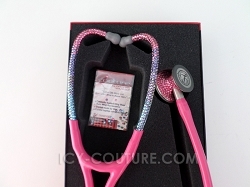 Fresh Air - Littmann Cardiology III Stethoscope with Swarovski Crystals. Select Your Brand. 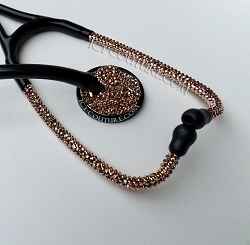 Black Stethoscope ROSE GOLD Swarovski Crystals. Select Your Brand. 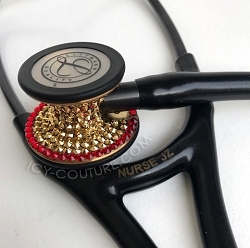 Littmann Cardiology Stethoscope with Swarovski Crystals. Whats Your Color? 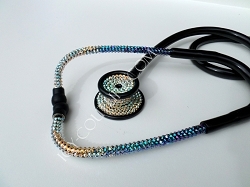 Meredian Ombre Stethoscope with Swarovski Crystals. Whats Your Color? 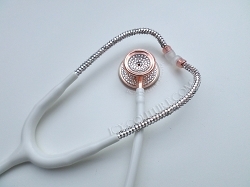 White Stethoscope with Your Color Swarovski Crystals. 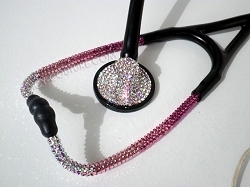 Pink Stethoscope with Swarovski Crystals. 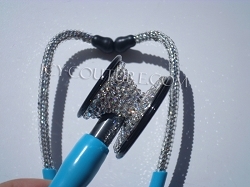 Select Your Brand & Color. 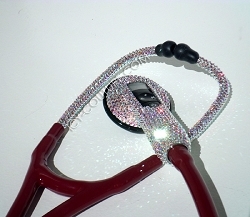 Crystal Bling Stethoscope with Swarovski Crystals. Whats Your Color?